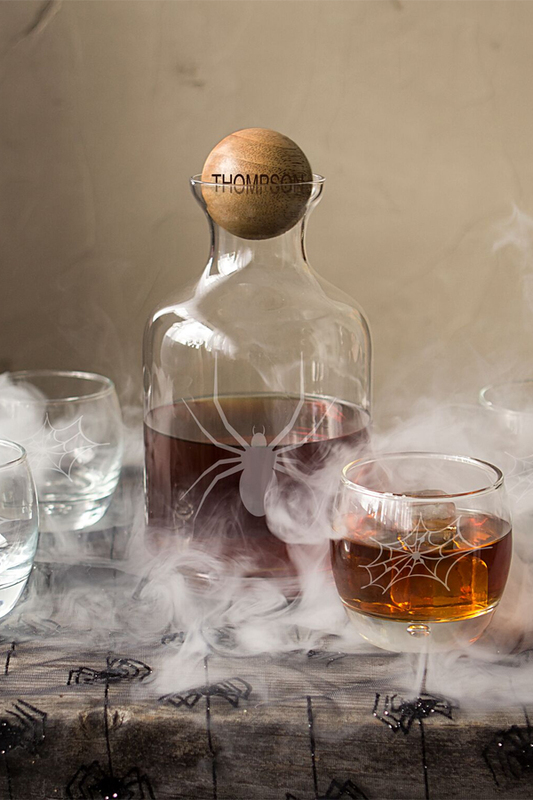 With rustic accents and an eerie appeal, this 56 oz Halloween whiskey glass decanter set is a must-have addition to your spine-chilling bar collection. The decanter set features a 56 oz. 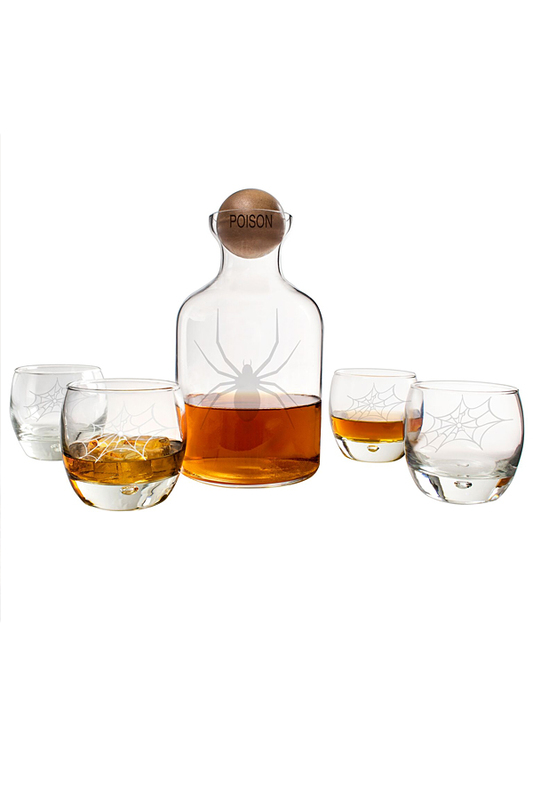 spirits decanter, four heavy based whiskey glasses, etched with a spider and her webs. Shock guests as they join you around the bar while serving up their favorite Halloween spirits. Have the wood stopper engraved with a name or custom line of text; 8 characters max. Set Includes: One (1) Glass Decanter and four (4) Heavy Based Whiskey Glasses. Decanter: 4.5” L x 4.5” W x 8.5” H. Holds up to 56 oz. Glass: 3.25” L x 3.25” W x 3.25” H. Holds up to 10.75 oz. Features: A sleek, robust decanter with a rubberwood stopper, 4 heavy base glasses, and free personalization. Rubber wood Stopper: Wipe clean with a damp cloth. Engraving Options: May be engraved with a custom line (max 8 characters) engraved on the wood stopper at no additional cost. Please note: Due to the natural variation in the wood stopper each engraving will be unique.